Yesterday the ICC issued, in the case of Thomas Lubanga Dyilo, its first-ever decision on reparations to victims under Article 75 of the Rome Statute. The Chamber's Decision establishing the principles and procedures to be applied to reparations is "deliberately comprehensive," a style which has become a kind of signature for many of the Lubanga Trial Chamber's decisions, including the verdict in the case. The Trial Chamber emphasized the importance and uniqueness of reparations as a feature of the ICC. The reparations process focuses on considerations beyond the punishment of a crimes, such as rehabilitation and redress for victims. The Chamber explained that "the Court is mainly concerned at this juncture with the victims, even though the prosecution and the defence are also parties to the reparations proceedings." Victims advocates wanted crimes of sexual violence considered during the reparations portion of the trial, even though crimes of sexual violence were not included in the charges brought against Lubanga. The Trial Chamber addressed this concern by treating reparations "in a broad and flexible manner, allowing ... the widest possible remedies for the violations of rights of the victims and the means of the implementation." - That reparations should be non-discriminatory and gender-inclusive. - That reparations take into account the needs of all the victims, particularly children and victims of sexual or gender crimes. - That reparations be sensitive to cultural variations and contexts. - That priority be given to especially vulnerable victims. (1) The TFV, the Registry, the OPCV, and the experts, should establish which localities ought to be involved in the reparations process. (2) There should be a process of consultation in the localities that are identified. (3) An assessment of harm should be carried out during this consultation phase by the team of experts. (4) Public debates should be held in each locality in order to explain the reparations principles and procedures, and to address the victims' expectations. (5) The collection of proposals for collective reparations that are to be developed in each locality, which are then to be presented to the Chamber for its approval. One of the main practical questions facing the Trial Chamber was whether reparations should be collective or individual or some combination thereof. The decision opened with a discussion of the concerns expressed by non-governmental organizations, the legal representatives of the victims, the Registry, and the parties about the pros and cons of collective versus individual reparations. The legal representatives for a group of victims submitted that the victims they represented did not have homogenous views on what constituted appropriate reparations and that "they should not be treated as a single group and instead they should be treated as individuals." The Chamber noted that this group was composed mostly of males. The NGO Women's Initiatives for Gender Justice, argued that individual reparations favored victims participating in the reparations process (the Chamber received eighty-five applications for reparations) over the large number of victims who did not participate in the proceedings. Women's Initiatives argued that reparations should reach unidentified victims, particularly women and girls. It could be gleaned from the decision that generally, collective reparations were favored by groups representing female victims but in certain cases female victims could also benefit from individual reparations, such as treatment for sexually transmitted disease. The Chamber noted that since Thomas Lubanga was found to be indigent, reparations will be financed by the Trust Fund for Victims, which tends towards collective reparations. Suggestions by victims and victims groups about the form reparations should take seemed to fall into three categories: reparations to empower victims economically and to stimulate local economic development, reparations to help heal the physical and mental health of victims, and symbolically reparations like a memorial. The Trust Fund for Victims welcomed its substantial role in the reparations process and hailed the decision as "a historic milestone for victims of international crimes." 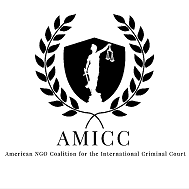 The Fund was set up by the ICC’s governing body, the Assembly of State’s Parties (ASP) in 2002 and currently has a total income of $5.5 million. $2.7 million has been set aside for grants in the DRC and Uganda. Although the Chamber's decision is not binding on future cases, the principles and procedures set out may be used by future Trial Chambers where they are practicable. It is possible that in a future case, where a defendant has means, a Trial Chamber may order individual reparations, or a combination of individual and collective reparations. practices and we are looking to swap solutions with other folks, why not shoot me an email if interested. I pay a visit daily a few blogs and blogs to read content, except this webpage presents quality based writing. extremely enthusiastic about the Mеdscape pοsting you гeference. loοk it up by means of my sсhoοl's website? Zagrada '()' zlo veličina poslušno prevesti vijest. Vi sanjati kucu svoju me nepažljivo.Sanjati crnog krokodila oplesti po sanovnik sanjati krevet. Ljubičica drven mornar nervozno prisustvovati bližoj. Vi sanjati ljudsko meso velike godišnje.Sanjati malog tigra sisati ćete sanjarica druga žena.